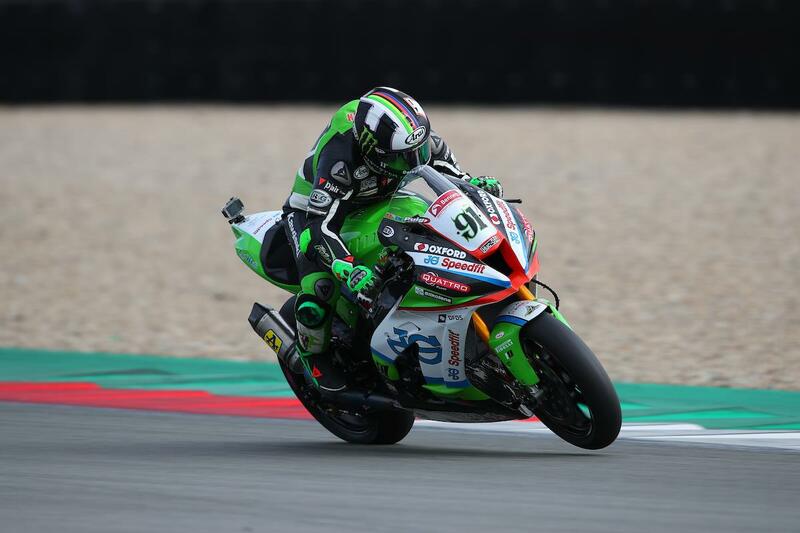 Bennetts British Superbike series leader Leon Haslam got off to a strong start as the second round of the Showdown got underway at Assen today. The JG Speedfit Kawasaki rider rounded out the opening day fastest, but made significant steps forward with the harder Pirelli rear tyre – something crucial for this time of year. With temperatures dropping, Haslam turned to the harder SC1 rear – which he hasn’t raced since the opening round at Donington – during the opening free practice session. That move left him 16th after FP1, but he was unconcerned with most riders setting times on the grippier soft. Haslam’s pace on the SC1 improved in the afternoon, but his quickest time of the day came on the soft option rear. “We had to try the harder tyre as with the temperature getting cooler the soft might not last as long over these last two rounds,” Haslam said. “We haven’t really used it since Donington so we had to put it in and see where we were and then try and develop a setting around it. I’m happy with the progress we made and the pace we had in FP2 on both tyres.